India is globally connected in a multitude of ways. The Global India Dialogue Series addresses emerging issues that do not usually receive the attention they deserve, and need to be addressed more systematically in India's external engagement. In the Dialogue Series, perspectives from outside of India are invited, in order to sensitize the general public, academics and civil society on India's global position on vital issues such as equitable growth, climate change and gender justice. 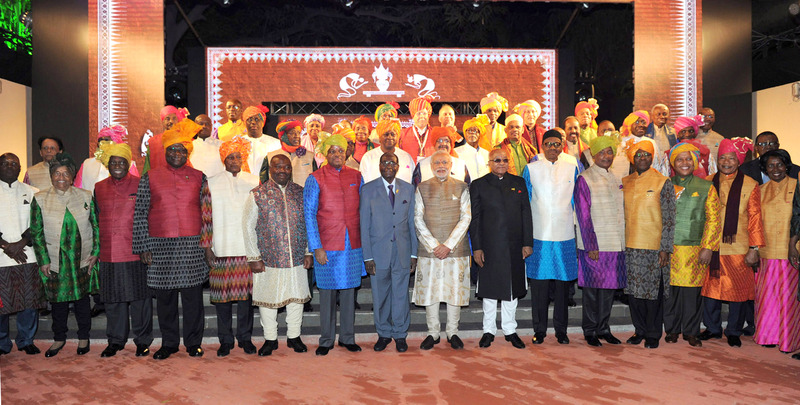 In the first three events, the focus has been on India-Africa relations and the role of the Indian diaspora. The Global India Dialogue Series is a joint initiative of the Organization for Diapora Initiatives (ODI) and hbs India. The lecture was an outsiders perspective on Indian Diaspora and Diaspora policies with reference to Africa tracing the links in history, origin of people’s movement in trade and labor, current policies and challenges. India –Nigeria engagement: History, diaspora and emerging dimensions. Lecture discussion by Prof. Olutaya C.Adesina, University if Ibadan, Nigeria. The political, social, economic and cultural India-Nigeria engagement started well before both countries’ political independence from Britain. The ties run deep with India becoming one of Nigeria’s largest trading partners since bilateral relations were established in 1958. The talk highlighted long-standing Diaspora engagement between the two countries and the new dimension and potential that this relationship has in the context of emerging realities. Acknowledged by many as a rising power, India’s international priorities and actions seek a greater role for itself globally and regionally. Foreign policy is being given a lot of attention as is being constantly shaped and confronted with challenges and opportunities of a multi-polar global order. Centre stage are trade, economic, defense and strategic partnerships as is India’s emerging and undisputed role in global and regional governance forums like the G-20, BRICS, ASEAN, BIMSTEC. Undeniably, India is a weighty player in multi-lateral negotiations of trade and climate talks and at global institutions such as the IAEA, seeking to change the rules at the IMF and a permanent seat for itself at the UN Security Council. Furthermore, India’s new status as a donor and a stakeholder in the emerging international financial architecture such as the Asia Infrastructure Investment Bank and the New Development Bank is giving it strategic and political mileage.